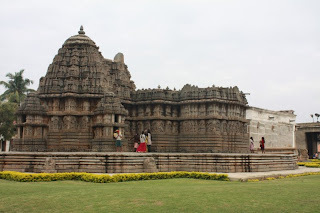 "Hosaholalu", located in K R pet taluk of Mandya, houses a beautiful Hoysala Temple dedicated to Lord 'Lakshminarayana' .It was built by King Vira Someshwara in the 13th century AD. 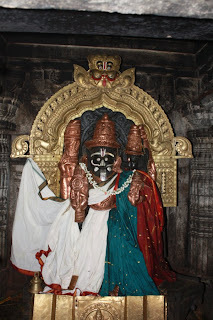 The local legend states that, during the construction process of the temple, glittering gems were found buried under ground and hence the village got the name Hosa Haralu (Haralu in Kannada means Gems) and as time elapsed it became popular as "Hosaholalu". 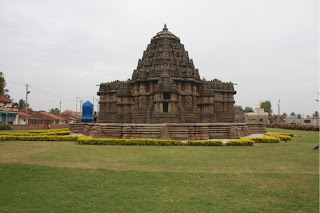 This temple is a Trikuta type i.e, three shrined with a single central tower. 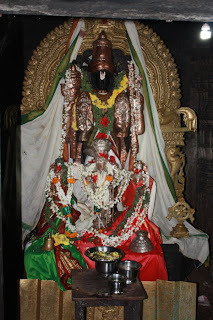 The temple is dedicated to Lord Lakshminarayana , and the other two shrines contain sculptures of Lakshminarasimha and Venugopala . 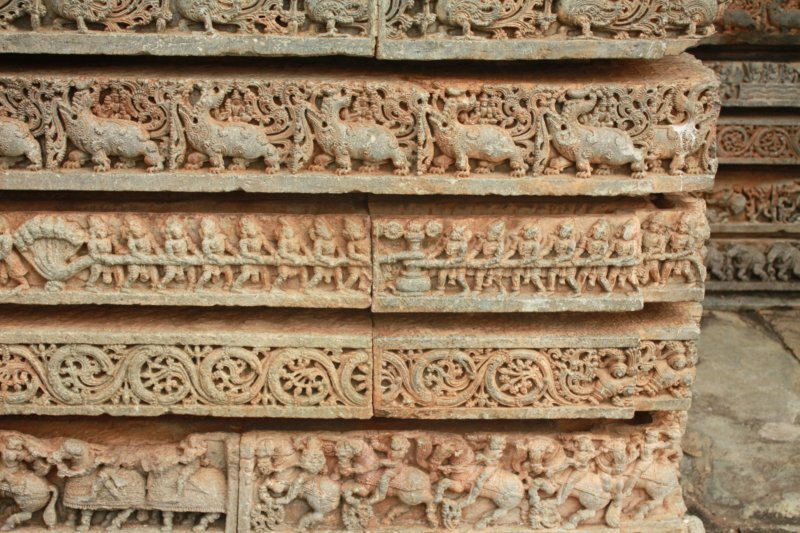 These sculptures are a perfect example of Hoyasala art . The door frames, pillars and ceilings were heavily carved . 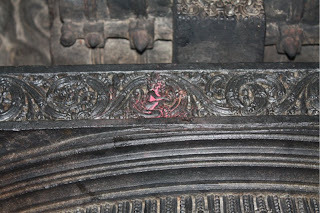 On one of the pillars, there is a carving of a thumb sized monkey sitting in a majestic pose and drinking 'Elneeru' (tender coconut milk ) referred as "Hebbettu Anjaneya ". 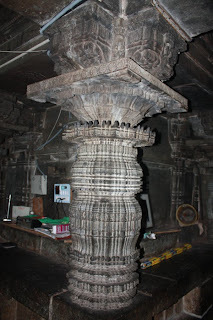 The old pillars have been used to construct a mantap in the front in about 16 th century AD . This gives an odd look to the temple. 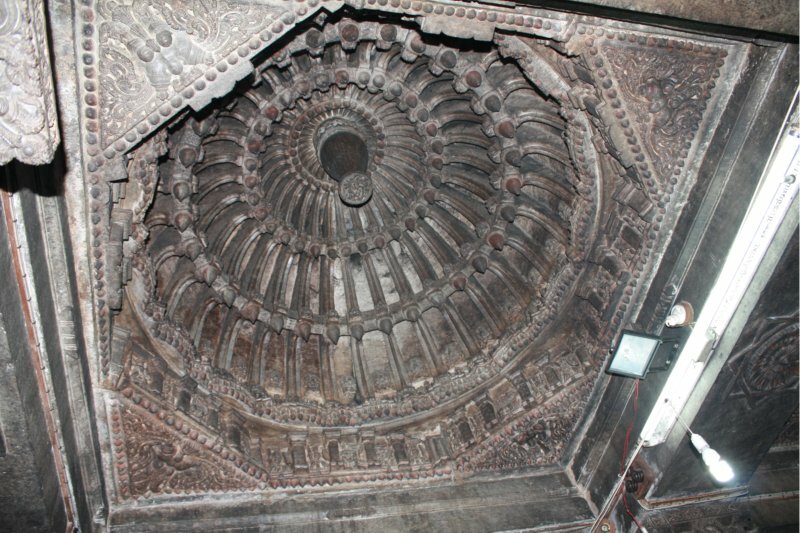 The mantap was built with the purpose of storing Vahanas (Vehicles) used during festivals . 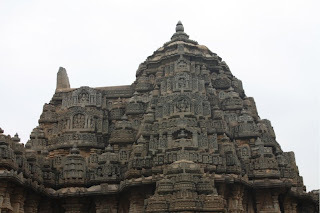 The exterior beauty of the temple is an equal match to the interior beauty . The temple stands facing east on a raised platform and a poly angled ground plan. The temple has six pattikas having carvings of Elephants , Horses , Creepers , Puranic tales ,Crocodiles and Swans. To increase the height of the temple, the walls were constructed in two tiers. 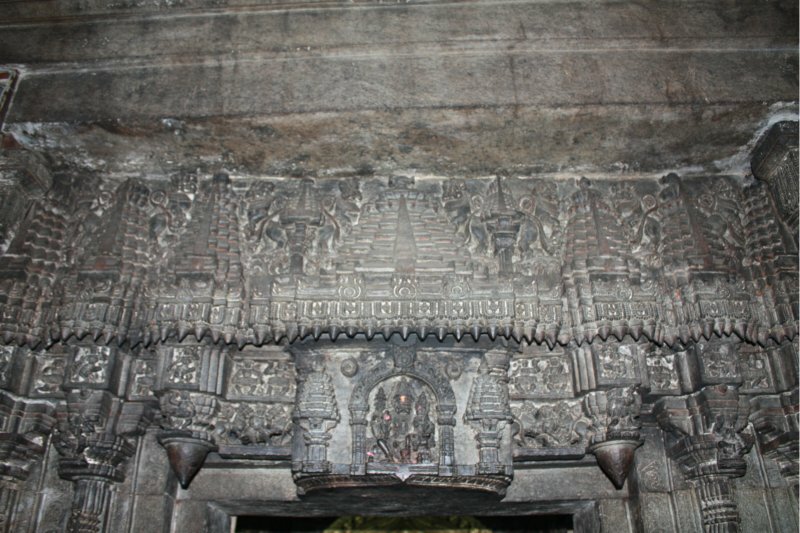 The lower tier has sculptures and the upper tier has small decorated single or double pillars, shikaras. 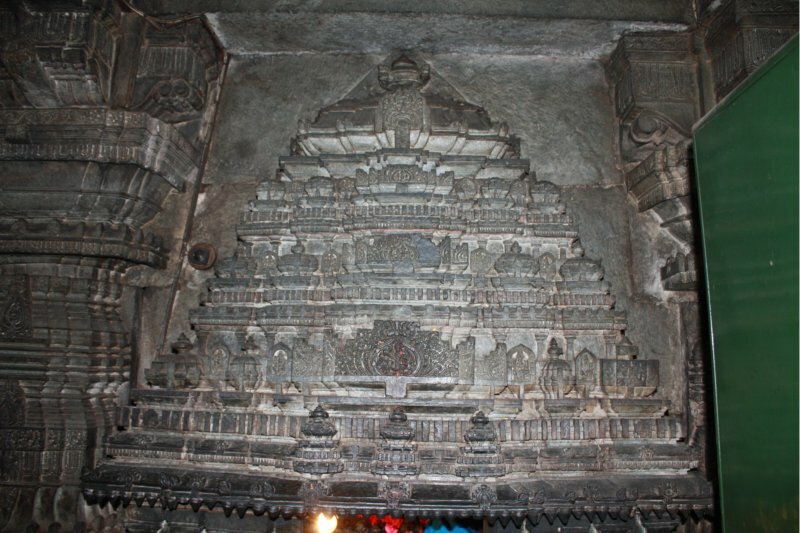 The shikara of the temple is also heavily carved . 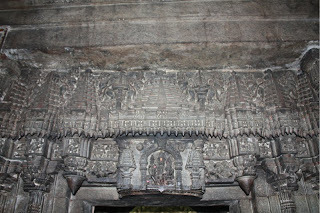 There are many sculptures on the outer walls of the temple mostly dedicated to various forms of Vishnu and his consort . 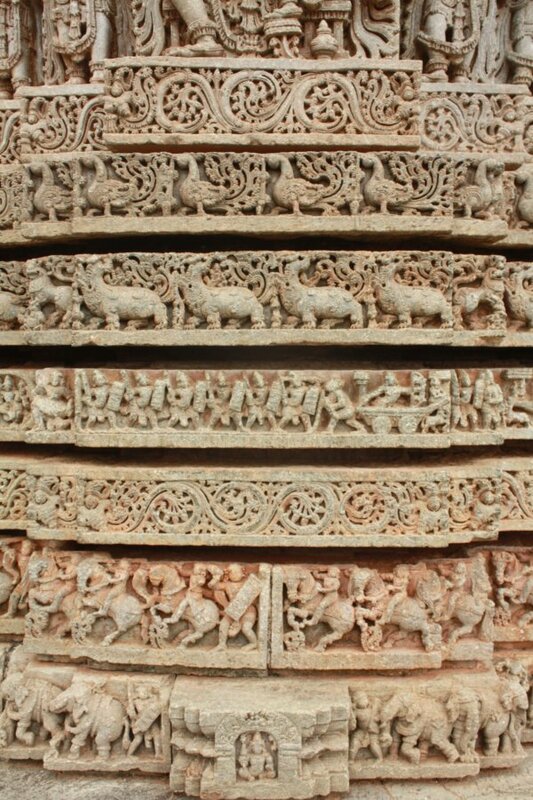 There is sculpture depicting the scene of Vasudeva standing in front of donkey with folded hands probably referring to the proverb " To get one's work done , one has to prostrate even before a donkey " . 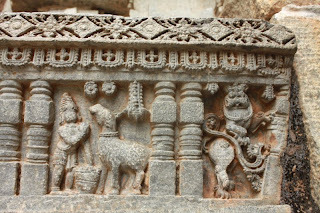 This refers to story when Lord Krishna was born and Vasudeva carried him in the basket outside the Jail . He saw a donkey braying actually indicating the god omen. But he didn't wanted the braying sound to awake the jail guards , so he folded both his hand and prayed to the donkey and silenced it . 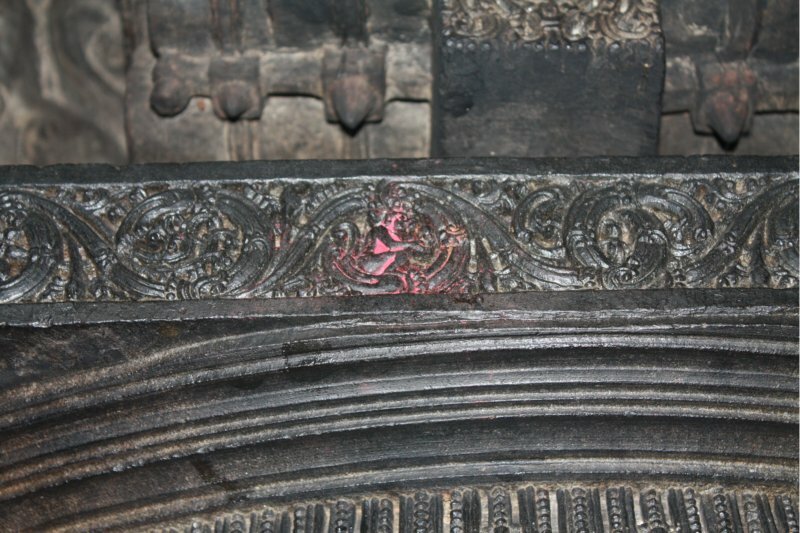 The Keys of the temple remain with the priest . 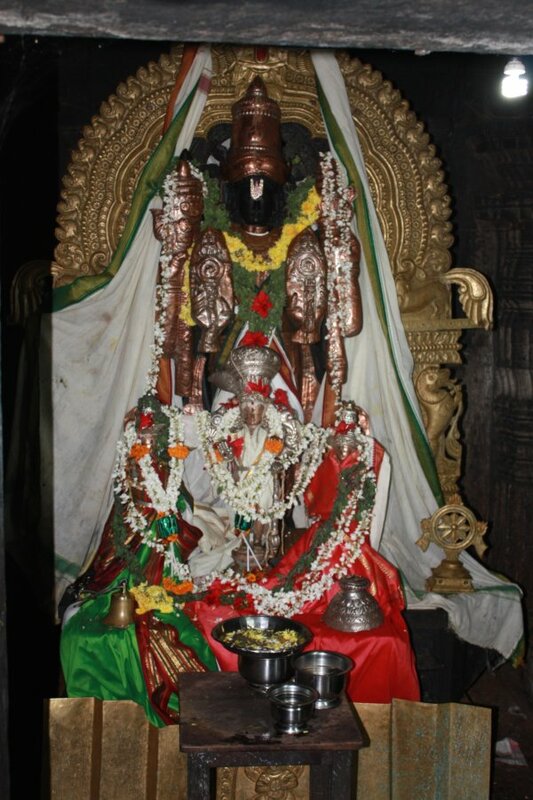 Though the priest was unfriendly, he obliged to come and open the temple door. 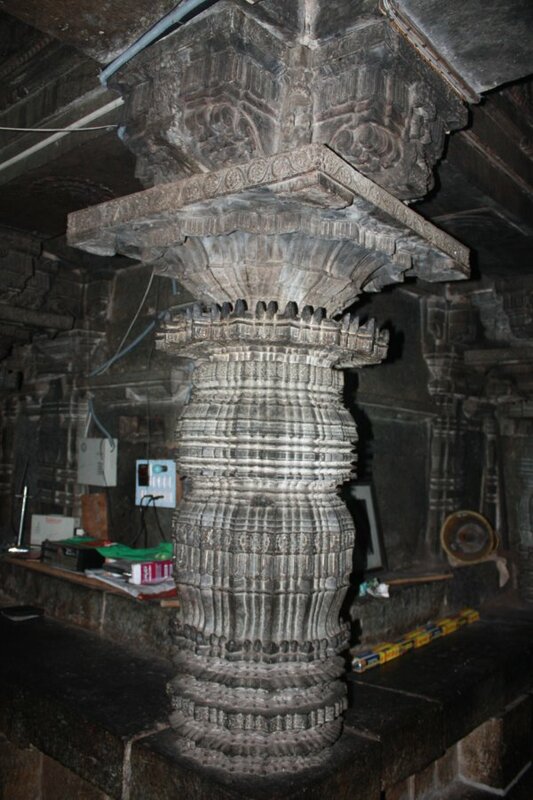 The temple is nicely maintained by the ASI. No entry fees as of now. 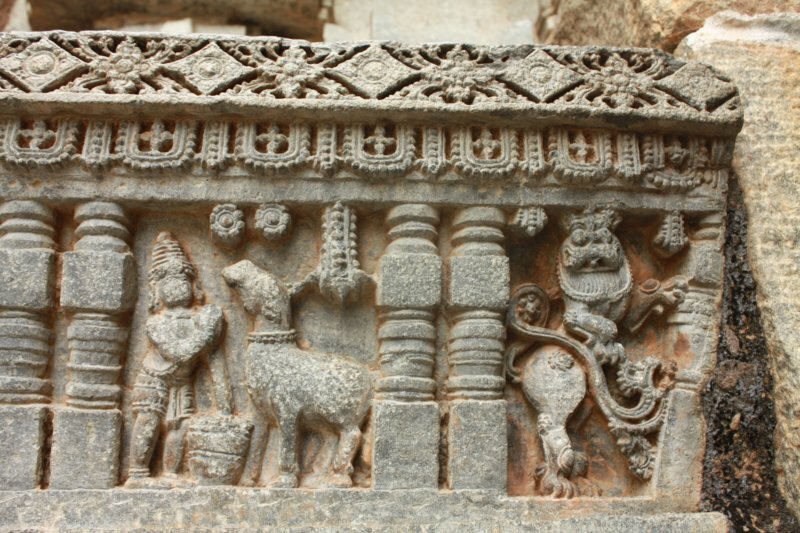 References used : Publications of Government of Karnataka on Mandya . Beautiful architecture and great captures. Nice post overall..! I do so enjoy your posts, the history, the photos! I have been able to travel a lot during my lifetime, but have never been to India and always wanted to. Well, it's too late now, but the next best thing is to be able to see and learn from your extraordinary posts! Thank you! And thank you for your visits/comments on my blog as well! Have a wonderful weekend! Wonderful photos and text . I have visited this place a very long time ago ; memory very vague. Your post inspires me to visit again. Thank you so much for the Sankranti wishes. Hope you had a great festive time too. First time here.. what's significance of your title- Team G square? @ Shrinidhi , welcome to our world . That's just the way we call ourselves ,Team G Square , nothing more official about it . 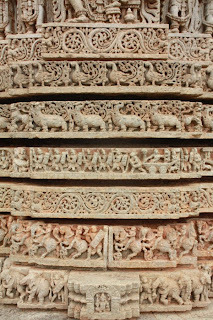 Loved the intricate pillar the most! 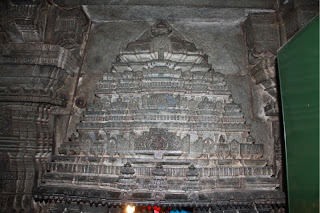 I have been to this temple. But it was closed and could not see the interiors. Marvelous capture.